Ever seen Ski Paintings? I love browsing the web and seeing all the professional, amateur and home photos of ski resorts, peoples holidays and ski / snowboard shots. There is nothing better than finding that great photo and sharing it with your audience. However, I came across something a little different the other day, a collection of paintings by Pete Caswell. Pete Caswell is a modern impressionist creating high energy, vibrant oil paintings centred around travel and scenery you may expect on a holiday, like a beach or sunset. His self described approach is to create colourful, bright and vivid paintings with a sense of joy and light. That’s something we all need in our lives. In some respect I can extract the emotion behind the paintings and often exudes a calmness and serenity. In fact you will find a range of subjects and different forms or art from Pete Caswell, much of it capturing my attention from his photo books, portraits, poems and more, however for this post, let’s focus on his work with skiing and the Alps. It was the painting above that caught my attention, I could almost feel like I was there but having an outer body experience looking down at the scene. 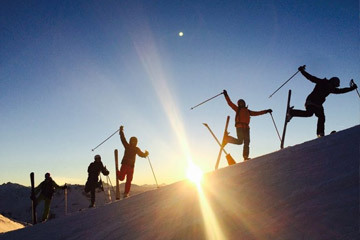 The gathering of skiers had a familiar feel, maybe invoking memories of past skiing holidays. I also like the painting below, reminding me of those crisp days at the top of the mountains. 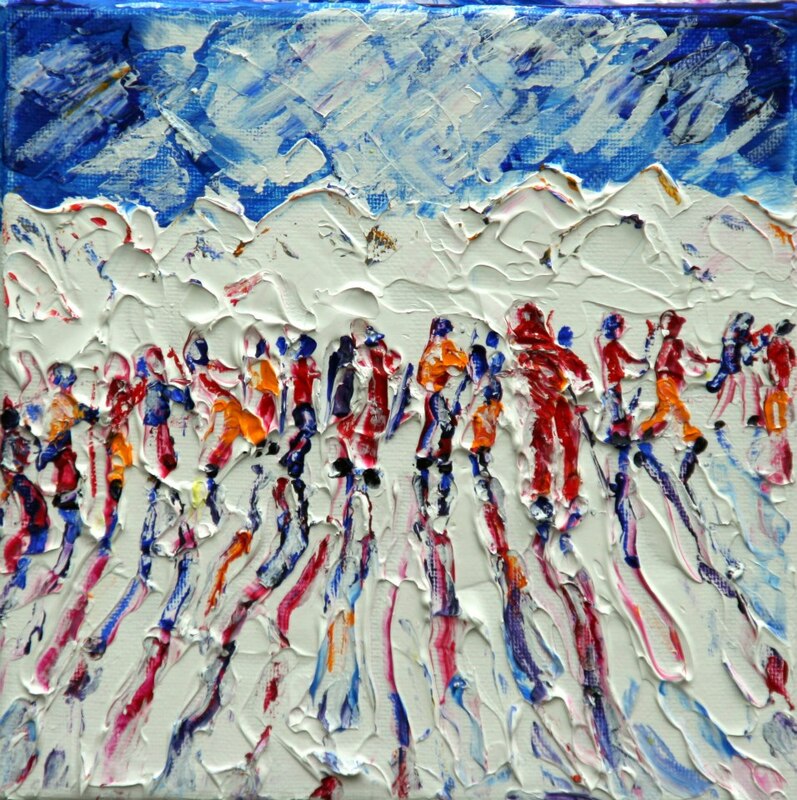 Pete has a range of ski paintings available for sale directly from his website. You can view, select and buy any painting from his online store. Paintings start from only £119 and range up to £250 each. Some are supplied on block canvass or framed picture. If you visit his site, tell us which your favourite painting is or if you have seen some great ski related art, let us know!